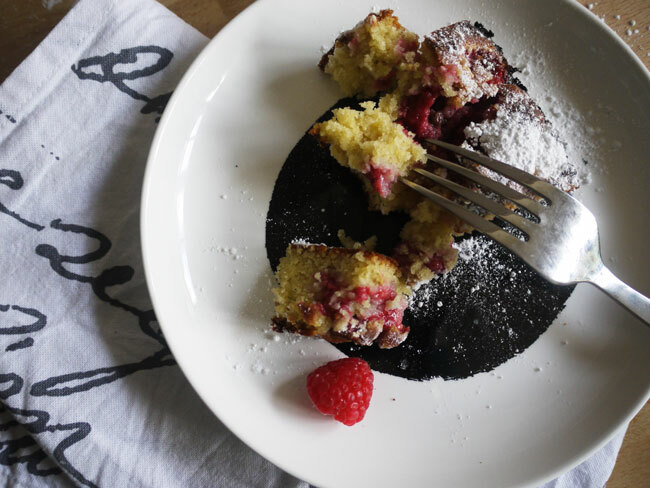 Ive been wanting to include more recipes on the blog for a long time, Ive even had a few sweet recipes photographed and saved on my laptop for a while now. So Im now hoping to every Sunday (or every other Sunday?) share a recipe either under the heading Sweet Sunday or Savoury Sunday. 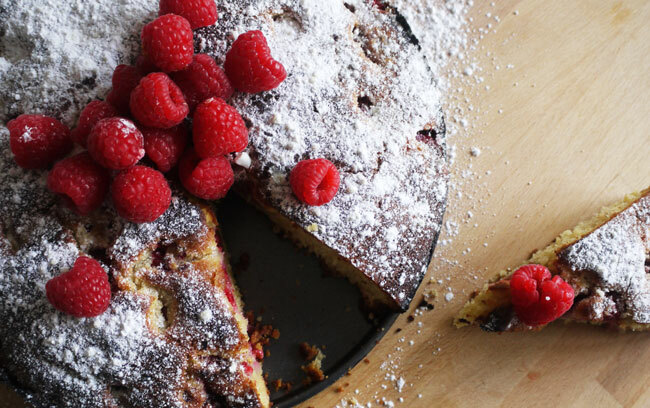 So to start with here is a very simple and tasty recipe for an almond and raspberry cake otherwise known as a Bakewell Cake. icing sugar to dust over at the end. 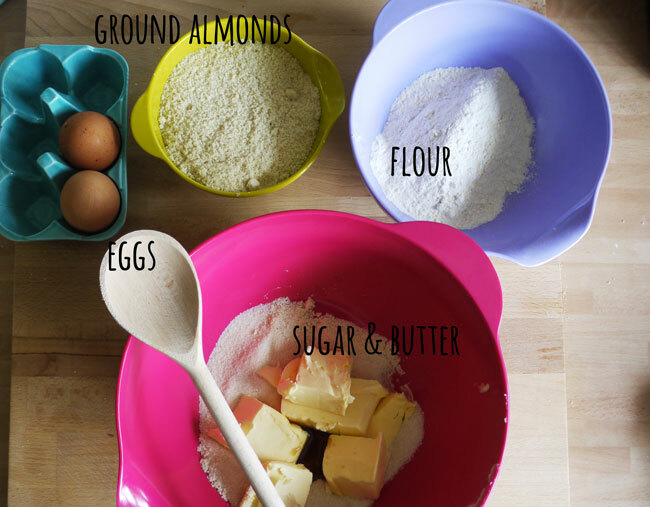 Grease a 20cm loose bottom cake tin, and mix with a hand whisk the almonds, sugar, butter, flour, eggs and vanilla extract. Mix until smooth and evenly mixed. 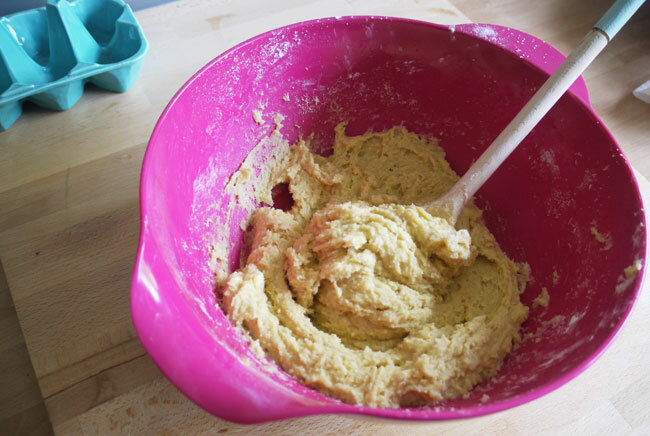 Spread half the mix over the cake tin and smooth the top. 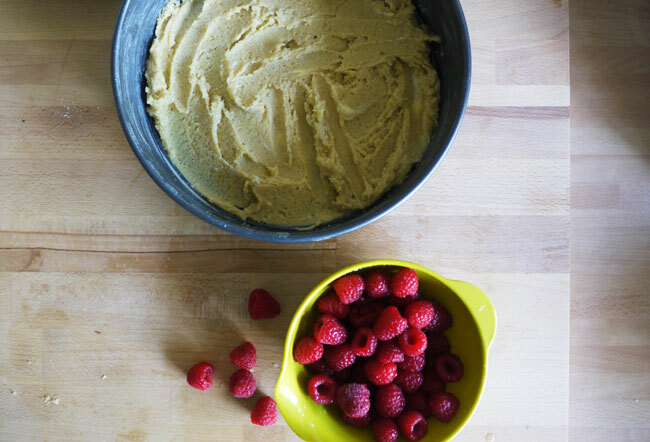 Scatter over the raspberries then dollop on the rest of the mix and smooth down with a spoon. Oh almond and raspberry! What a combo! This has definitely made me a little too peckish for 10 at night! 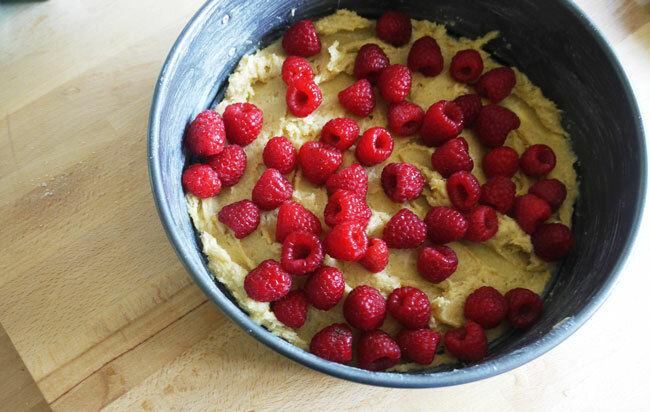 This looks delicious, I love raspberries in everything!